Since 1984, Mark C. Rosen, president and founder of San Francisco-based Rosen Realty Group, has been representing office tenants exclusively. At that time, he was one of only a few brokers in the Bay Area to do so. More than twenty-five years later, Mark continues to bring to the negotiating table his extensive knowledge of the local office leasing market, along with his high standards of integrity and honesty, to get the best possible deal for his clients. As a result, Rosen Realty Group is widely recognized by its clients, and within the brokerage and landlord communities, as fair and tough negotiators who are successful at closing deals. Mark’s legal degree and study of real estate law adds an important dimension to his expertise in tenant representation. Rosen Realty Group typifies the best of the San Francisco Bay Area: a local, family run business that is recognized as the best at what they do -- working for the tenant with integrity. It's no surprise that the majority of the company’s business is from existing clients and referrals. In a gala celebration, Mark was awarded the San Francisco Business Times 1999 “Deal of the Year” for his work in representing NBCi. 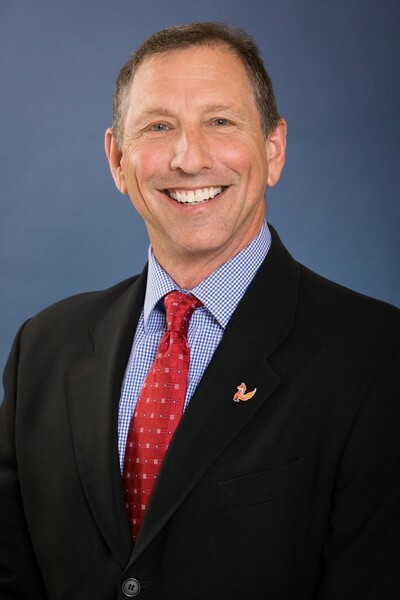 Some of his other clients include Wine.com, Modem Media, ABC-TV, KGO-TV, Wild Planet Toys, MBIA, Robert W. Baird & Co.
Rosen Realty Group has been a member of ITRA since 1995, and Mark currently serves on the Membership Committee. Through its ITRA partners, Rosen Realty Group provides tenant representation for its clients in cities throughout the US and Europe. Mark and his wife, Anna, are raising their two sons, Spencer and Jordan, here in San Francisco. The entire family has the distinction of being the only one in the country with its own athletic team, Rosen Realty Racing. Together they compete in triathlons, road and mountain bike races, slalom ski races, and group swims from Alcatraz. Mark also puts on the annual SF Bay 10K Swim from the Golden Gate Bridge to the Bay Bridge. Mark is a fourth-generation San Franciscan who graduated from Lowell High, has a dual B.A. from San Jose State in business and political science, and a J.D. from San Francisco Law School. He is also a proud 20+ year member of the Olympic Club and currently serves on its Membership Committee. Anna Anello Rosen, CEO and co-founder of Rosen Realty Group, has worked with her husband, Mark, since the company's start in 1989. Prior to launching the company, Anna practiced real estate and business law for eight years, representing Silicon Valley startups and San Francisco real estate ventures. With her broad knowledge of commercial real estate, Anna researches the market and matches clients’ needs with available space, develops the RFP, and puts together the project team. Anna served on the ITRA Global Board of Directors as treasurer from 2002 to 2008. She now serves on the ITRA Global Newsletter Committee. Anna has a B.A. degree from San Jose State University and a law degree from Santa Clara University School of Law. 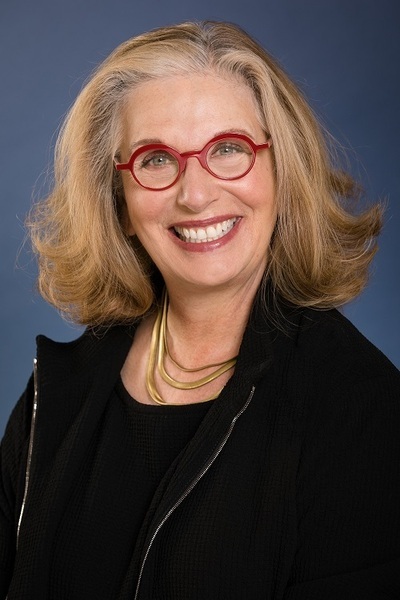 She is a native of the Bay Area, and is actively involved on the Board of Trustees at The Cedars of Marin, a full care residential facility for the developmentally disabled. When she has free time, she loves to wow her family and friends with fabulous Italian meals. Now one of the top tech-hubs in the country – if not #1 – San Francisco’s diversified service-oriented economy is based in the technology, finance and tourism sectors. The City is world headquarters for Bechtel, Dolby Laboratories, Dropbox, GAP Inc., Levi Strauss, LucasFilm, McKesson Corporation, OpenTable, Pinterest, SalesForce, Trulia, Twitter, Uber, Wells Fargo, & Yelp. As of Q4 in 2015, San Francisco’s asking rents surpassed those of Manhattan’s, making the City’s rents highest in the nation. San Francisco’s Mission Bay district is a hub for biotech and biomedical companies. California’s publicly funded stem cell research programs, plus more than 40 private-sector life sciences companies are headquartered there. San Francisco is the 2nd most densely populated city in the nation. Its 837,442 residents live within 49 square miles, but 20% of that land mass is the Presidio, a former army post converted into a national recreation area and office park. Dozens of distinctive neighborhoods make San Francisco the most walkable city in the US. San Francisco is the city where Tony Bennett left his heart and where Rice-a-Roni used to be the favorite treat. Today, you will find fabulous fresh produce at the Ferry Building Farmers Market every day. The food scene in the City is incredibly vibrant and exciting, with hundreds of restaurants, food trucks and pop-ups serving locally grown and organic foods. Stunning world class views of the Golden Gate Bridge and the Marin Headlands will reward you during a short hike on the trail near the Cliff House Restaurant at Ocean Beach. If you come to San Francisco in the summertime, forget the flowers in your hair, but do bring a jacket. The chilly summer fog feels like the coldest winter you ever spent, according to Mark Twain. And, whatever you do, don’t call it “Frisco”!